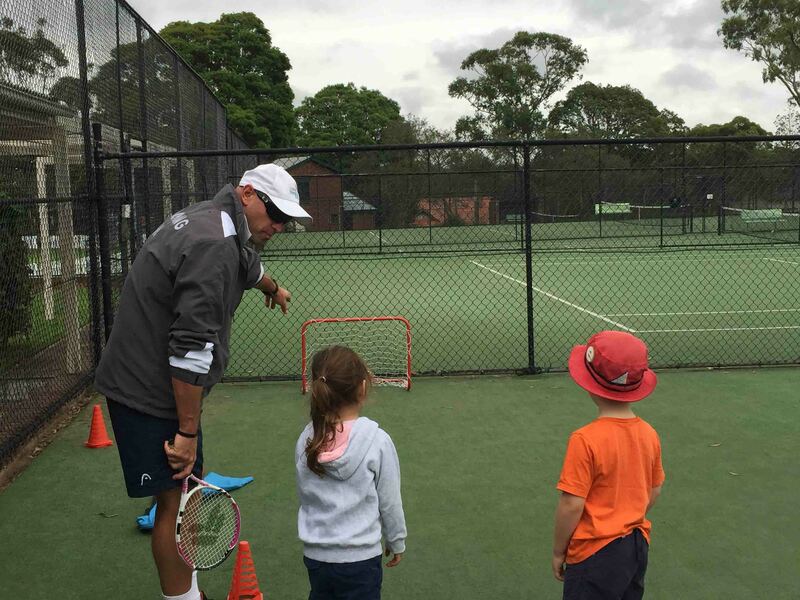 ANZ Tennis Hot Shots Sydney – Tennis Lessons For Kids, Tennis Competitions & Tennis Tournaments! 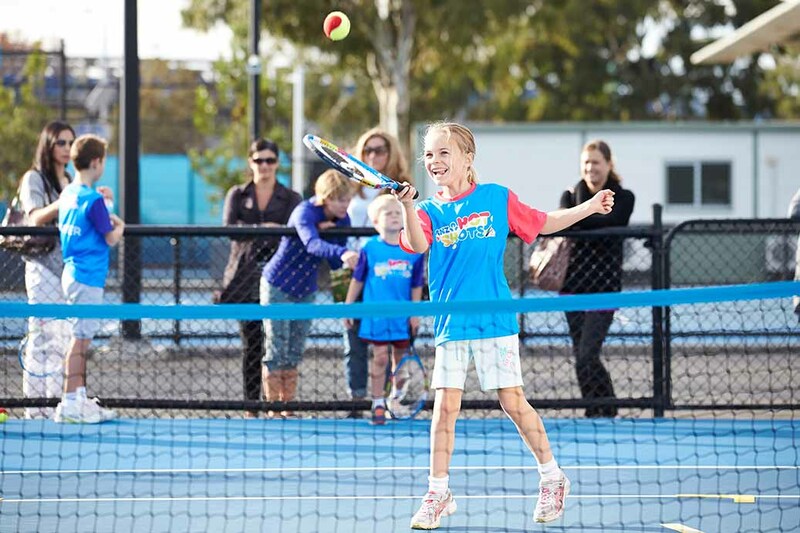 The ANZ Tennis Hot Shots program is a game just for kids – aged between 2.5 and 13yrs. 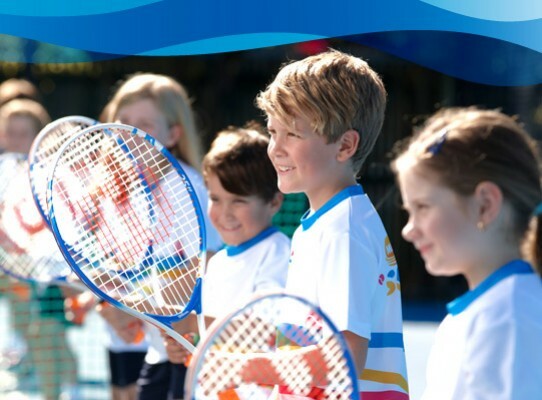 ANZ HotShots Tennis is endorsed by Tennis NSW and Tennis Australia as their official kids tennis program. 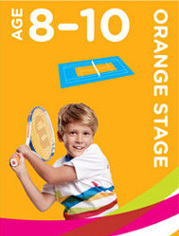 It is Tennis Australia’s fastest growing children’s starter program. 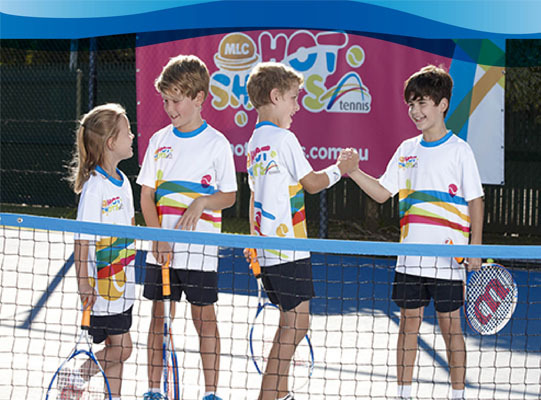 Hot Shots has become one of the most popular primary school kids tennis sports programs in Australia since it’s launch in 2008. With smaller tennis courts, a lighter tennis racquet and low-compression tennis balls that don’t bounce too high, it makes learning fun and easy! 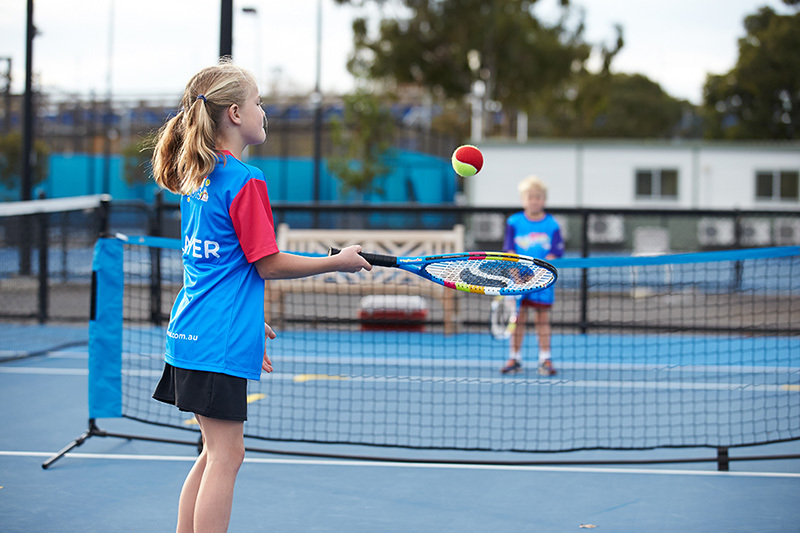 Inspire Tennis conducts the program at each of our Tennis Centres, Schools and other Tennis Club facilities. We run before and after school tennis lessons, school kids sport classes and ANZ HotShots Tennis competitions at our venues. Our bus shuttle service ensures our junior programs and tennis lessons for kids of all ages are easily accessible across all our tennis clubs! 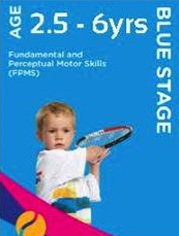 Your kids tennis skills are progressed through the 4 stages of the Hotshot tennis player journey: Blue, Red, Orange and Green. 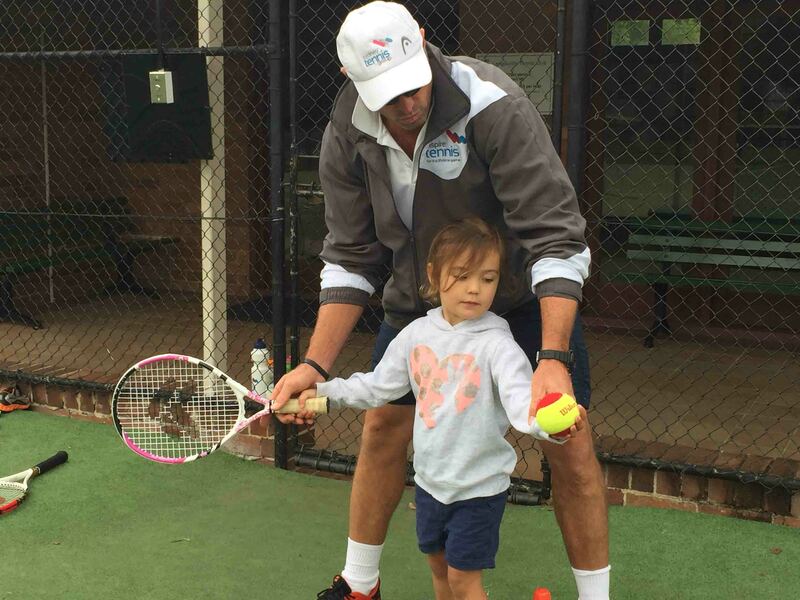 Guided by qualified Inspire Tennis coaches that are Tennis Australia certified, kids are encouraged to develop at their own pace. Inspire Tennis coaches will determine when players are progress to the next stage. There are many ways to play ANZ Tennis Hot Shots, including; Tennis Lessons for Kids, Tennis Competitions and Tennis Tournaments. 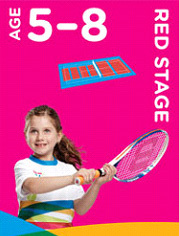 Hot Shots Kids Tennis Tournaments and Tennis Competitions are an excellent compliment to their Hotshots tennis classes. There are various levels within each coloured stage. Inspire Tennis coaches will determine when players are ready to move from one level to the next. 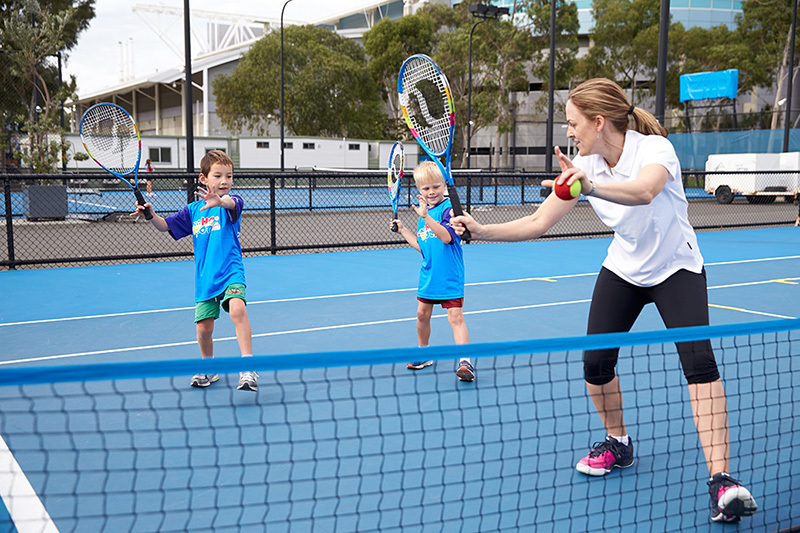 Kids Tennis Lessons: The Multisport Program is designed to develop physical, emotional and fundamental skills for pre-school aged children. The program includes a range of kids sports activities – a great introduction to tennis, cricket, soccer, basketball and t-ball. Classes are available weekday mornings from 9:30am and at same time as Womens Tennis Clinics – so Mum can have a lesson at the same time! Play on mini tennis courts with 25% compression ball! Kids Tennis Lessons: The Red Program involves group tennis lessons for kids, team-based events and games designed to improve self confidence, gross motor skills and the ability to rally in a fun environment. Kids Tennis Competitions & Tennis Tournaments: Best of 3 tiebreaks. Play on ¾ tennis courts with 50% compression ball! Kids Tennis Lessons: The Orange Program involves group tennis lessons for kids, stroke development, individual and team based events and games designed to increase self confidence, rallying ability and challenge tactical development in a fun environment. Kids Tennis Competitions & Tennis Tournaments: Round Robin. Singles and Doubles. 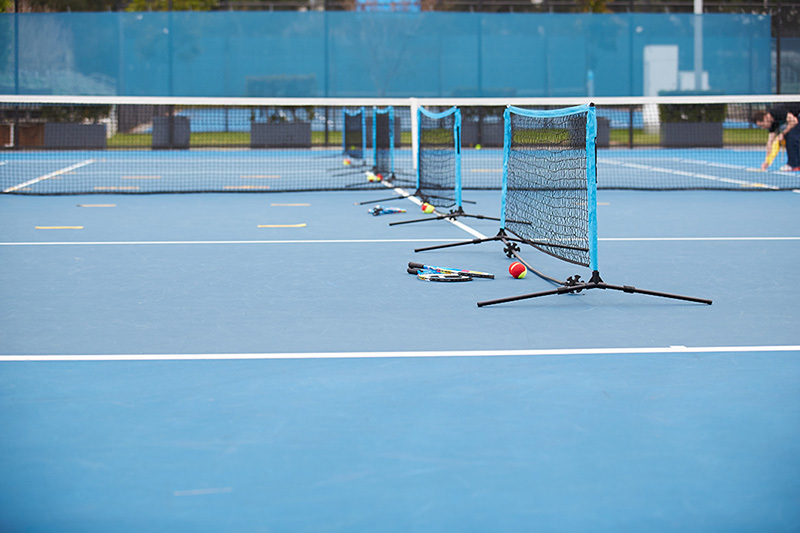 Play on a full tennis court with 75% compression ball! 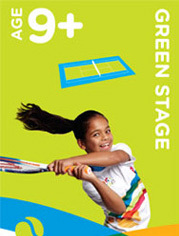 Kids Tennis Lessons: The Green Program involves group tennis coaching for kids, stroke and tactical development. The program prepares children for tennis tournaments & tennis competitions and school tennis in a fun environment. Physical and mental components are introduced for the more advanced players through singles and doubles match play. Kids Tennis Competitions & Tennis Tournaments: Singles and Doubles. Set Format. The price of kids tennis lessons may vary between each of our Hot Shots Tennis programs. On average you can expect to pay between $20-$25 per session. Visit our Pro Tennis Shop at Killara Lawn Tennis Club or Kooroora Tennis Club Roseville or ask our office to have it ready with your coach, for ANZ HotShots tennis racquets and low-compression tennis balls. Ask one of our friendly tennis coaching staff for help when choosing a tennis racquet for your child. The tennis grip shouldn’t be too big and make sure your child can hold the weight of the tennis racquet comfortably when their arm is extended. This will ensure they will be able to swing the racquet with ease. When in doubt choose a smaller racquet! 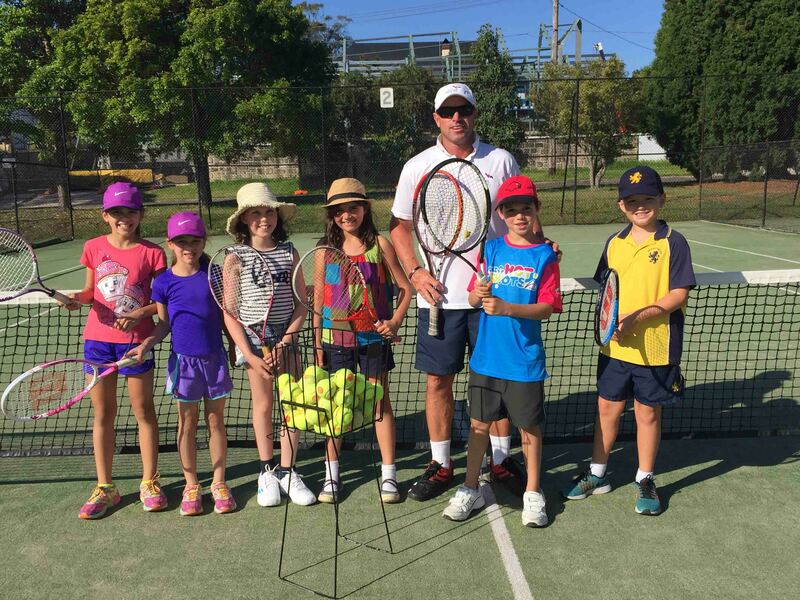 Inspire Tennis conducts ANZ Tennis Hot Shots programs at each of our Tennis Centres, Schools and other Tennis Club facilities in Sydney’s North Shore. New programs begin each school term with tennis coaching sessions lasting between 60–90 minutes depending on the tennis program stage. For all our latest tennis promotions and deals.